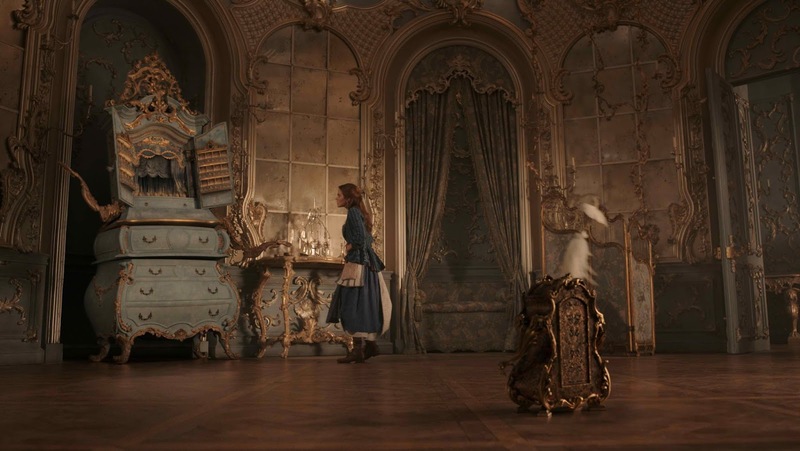 Home / ADAPTATION / Talking Household Objects are Scene-Stealers in "Beauty and the Beast"
Talking Household Objects are Scene-Stealers in "Beauty and the Beast"
A gentlemanly candelabra and a fastidious mantel clock. 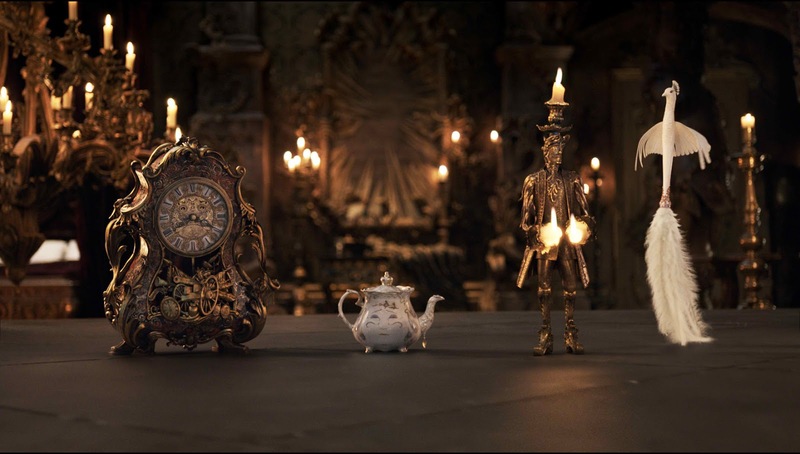 These are just two of the memorable characters in Disney's Beauty and the Beast, specifically, the enchanted household objects who can now speak as a result of the spell that transformed their master, a young Prince, into a Beast. The household objects are the former members of the castle’s staff, including: Lumière (Ewan McGregor), a candelabra; Cogsworth (Ian McKellen), a mantel clock; Mrs. Potts (Emma Thompson), a teapot; Madame de Garderobe (Audra McDonald), a wardrobe; Plumette (Gugu Mbatha-Raw), a feather duster; and Maestro Cadenza (Stanley Tucci), a harpsichord. Hopeful that Belle (Emma Watson) may finally be the one to capture the heart of the Beast (Dan Stevens), they watch and wait for any signs of true love that will break the curse. Two-time Golden Globe® nominee Ewan McGregor (Moulin Rouge) is Lumière, the Prince’s proper French valet turned candelabra. 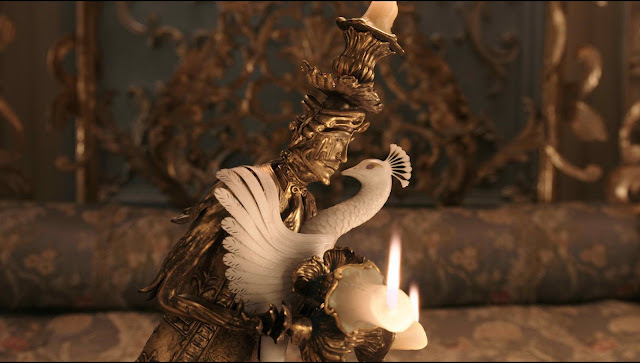 Frequently at odds with Cogsworth and besotted with Plumette, it is Lumière who sings the show’s most extravagant musical number, “Be Our Guest.” The actor was unfamiliar with the song when he first arrived on set, but quickly became a fan, delivering a performance that would have made Maurice Chevalier proud. It had been decided early on in the writing process to expand the story’s prologue and add a new character, a maestro who, along with his diva, is performing for the Prince at his castle when the spell is cast. Academy Award® nominee Stanley Tucci (The Hunger Games) was cast as Maestro Cadenza, now a harpsichord, and Cadenza’s wife, the renowned Italian opera diva Madame de Garderobe, is played by six-time Tony Award® winner Audra McDonald (Ricki and the Flash). The curse transforms her into an enormous wardrobe in Belle’s bedroom at the Beast’s castle, the same room where she had previously stayed herself, when she was the visiting opera singer. Garderobe has a flare for melodrama and a proclivity for frequent naps. Making his musical theatre debut at the age of 76 is two-time Oscar®-nominated actor Ian McKellen as Cogsworth, the tightly-wound head butler who is transformed into a mantel clock. While best known to younger audiences for his roles in The Lords of the Rings trilogy (Gandalf) and the X-Men films (Magneto), he is also a classically-trained actor with a wealth of Shakespearean credits under his belt. It was Condon, having worked with him in the past on films including “Gods and Monsters” and “Mr. Holmes,” who reached out to his friend to offer him the role, and McKellen was all too eager to come on board. “When a script comes to you in the mail and you see that it is from Bill, you say, ‘Yes,’ even before you've read it,” laughs McKellen. The filmmakers reasoned that if anyone could take on the legacy of a character created by Angela Lansbury, it was Thompson, as she has a similar warmth, history and connection to an audience. Coincidentally, Thompson arrived on the set of Beauty and the Beast straight from a sold-out run of Sweeney Todd in London, in which she played Mrs. Lovett, a role Lansbury originated on Broadway. Newcomer Nathan Mack plays Mrs. Potts’ son, Chip, who is now a teacup, and Hattie Morahan (Alice Through the Looking Glass) is the enchantress who places the spell on the Beast and his castle at the beginning of the story. Opening across the Philippines on Thursday, March 16, 2017, Beauty and the Beast is distributed by Walt Disney Studios Philippines. Like us on Facebook, WaltDisneyStudiosPH; follow us on Twitter, @disney_phil; follow us on Instagram, @disney.ph and use the hashtag #BeOurGuestPH.